The Wild Rhues are ready for the 2018 Autism Society of Akron's Autism 5k Run/ Walk!! Anyone that know us, is well aware of our story. You also know that we are strong supporters of raising both awareness and acceptance of all individuals affected by Autism. 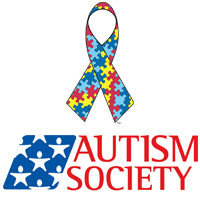 We feel that the Autism Society of Akron provides so many great resources and opportunities that support individuals with Autism, their families, caregivers, and anyone that is interested in learning more information on Autism. We would like to ask for your support of our small, by mighty team. Please consider donating to not only support our personal goal, but a great resource in our community that helps improve the lives of so many people.